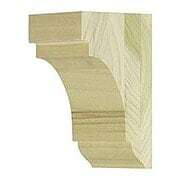 Angular cove profile corbel is the pefect accent for craftsman interiors. 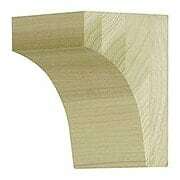 Small size is designed for dining room plate rail or mantels. Paint, stain or clear finish. 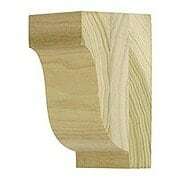 Medium Hemlock Craftsman Corbel 5 1/2" x 3 1/4" x 3"
Angular, extended cove is the quintessential craftsman profile. 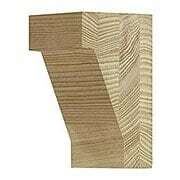 Medium size works well for mantels or as exterior ornament. Paint or stain. 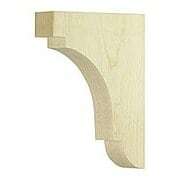 Medium Poplar Cove Corbel 5 1/2" x 3 1/4" x 3"
Cast Iron Shelf Bracket - 10" x 7 3/8"
The simple arched support on our Cast-Iron Shelf Bracket (10-Inch x 7 3/8-Inch) gives this Victorian accessory an Arts and Crafts feel. Made from solid, cast iron, it comes in an array of popular finish options. 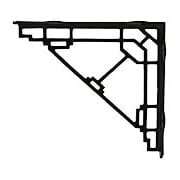 Brass Classic-Style Shelf Bracket - 9 7/8" x 7 3/8"
A simple design gives this solid-brass bracket a versatile quality, making it ideal for just about any room. 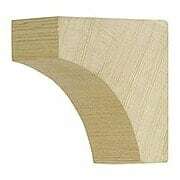 The arched support is an optimal choice for holding shelves to help organize a utility or laundry room, or display keepsakes throughout the house. Choose from five classic finishes. 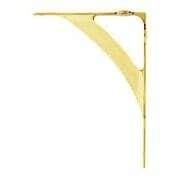 Brass Classic-Style Shelf Bracket - 7 11/16" x 5 11/16"
A simple design gives this solid-brass bracket a versatile quality, making it ideal for just about any room. 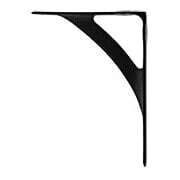 The arched support is an optimal choice for holding shelves to help organize a child’s playroom or display keepsakes throughout the house. Choose from five classic finishes. 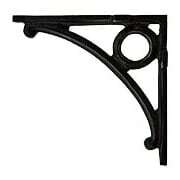 Cast Iron Shelf Bracket - 7 15/16" x 5 15/16"
The simple arched support on our Cast-Iron Shelf Bracket (7 15/16-Inch x 5 15/16-Inch) gives this Victorian accessory an Arts and Crafts feel. Made from solid, cast iron, it comes in an array of popular finish options. 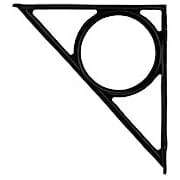 Mission Style Shelf Bracket In Matte Black - 10" x 9"
An array of geometric shapes, like the Arts and crafts movement, makes this Mission style bracket a pleasing addition to your shelving needs. Made from a heavy cast iron with a matte black finish. 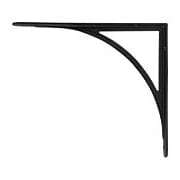 Cast-Iron Shelf Bracket - 13 3/4" x 11 7/8"
A simple design gives our Cast-Iron Shelf Bracket (13 3/4-inch by 11 7/8-inch) a versatile quality making ideal for just about any room. 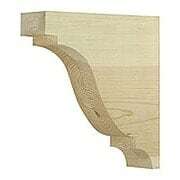 The arched support is an optimal choice for holding shelves to display keepsakes throughout your home, or to help organize a utility or laundry room. 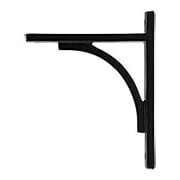 Cast Iron Shelf Bracket - 6" x 4 7/8"
A simple design and smooth surface gives our Cast-Iron Shelf Bracket (6-inch by 4 7/8-inch) a versatile quality, making ideal for just about any room. 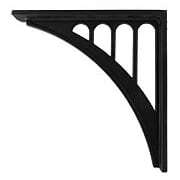 The arched support is an optimal choice for holding shelves to display keepsakes throughout your home, or to help organize a utility or laundry room.